If your project requires the use of a tipper truck, contact DJK Excavations the experts in tipper hire across Sydney, Campbelltown and Liverpool. Working on a landscaping, civil or construction projects in the greater Sydney area and need landscaping or site waste removed from site? The team at DJK Excavations can get the job done. From landscaping supplies such as topsoil, gravel and road base, through to demolition and building waste, our tippers can haul loads of up to 10000kg. All our machinery is available for wet hire only, meaning that our experienced operators will do all the hard work for you. We can show up on site, load up the truck and take the load away for disposal without you having to worry about anything. Using our range of complementary equipment such as our 5-tonne excavator and our Bobcat, we can make any job a breeze. From the smallest of garden work projects to the largest civil construction job the team at DJK Excavations can handle it. From our base of operations in Spring Farm New South Wales, we will travel up to 100km in any direction for a job. Some of the locations we travel to include Liverpool, Campbelltown, South Sydney and greater Sydney. 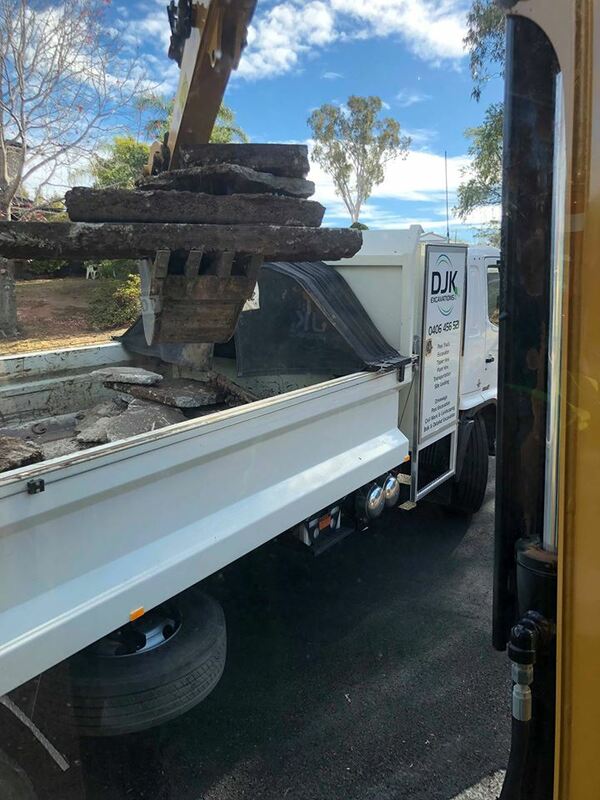 If you are looking for tipper hire in the south Sydney area, contact the team at DJK Excavations for an obligation free quote that is tailored to your project needs. We look forward to hearing from you.